Proper cleaning and care of the bathroom can be quite challenging. Occasionally it is difficult to keep track of how to clean a bathtub made of enamel, an acrylic shower tray or a wash basin made of mineral cast – even for professionals. Commercial detergents only reveal in the small print the damage that may occur when applied on various sanitary surfaces. There is no gentle yet thorough “all purpose cleaner” on the market. Update your customers on how to correctly clean and maintain their high-quality bathroom equipment today. 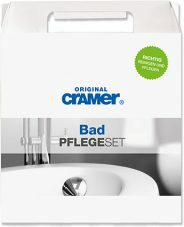 The Cramer cleaning and care product series, sold and recommended by sanitary professionals – a service the customers will certainly appreciate! discolouration, dirt deposits and minor scratches. 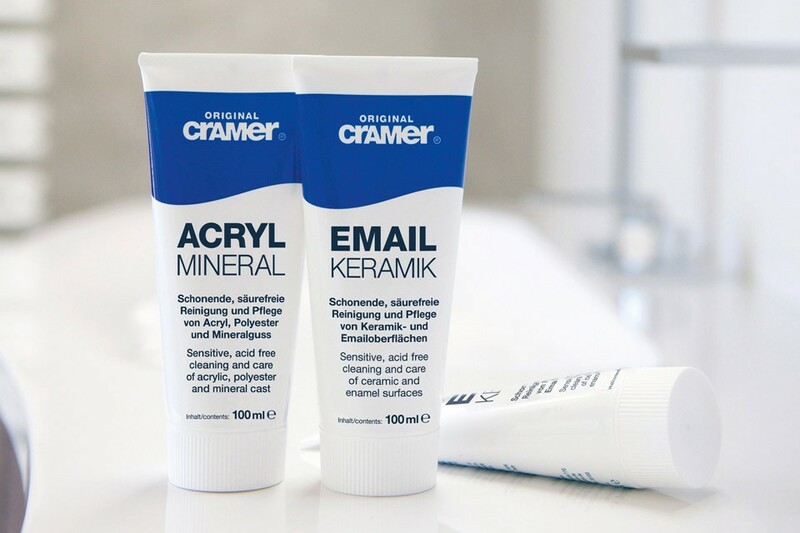 Chrome polish for heavily stained and corroded surfaces. for all mirror and glass surfaces. Material-friendly cleaning and care in the bathroom.